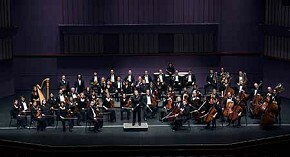 March 26 marks the 37th year together of the Sarasota Orchestra and the Englewood Performing Arts Series. As always, its performance is the perfect finale to the EPAS season. This concert features “Sounds of the Stage”. It brings orchestral highlights that set the stage and enriched memorable theatrical moments. This popular performance will be held Tuesday, March 26 at 1:30pm and 7:30pm at the Englewood United Methodist Church, 700 E. Dearborn St. There is open seating with doors opening one hour before the event. Cost for back and side seating is $25. Front center tickets for the matinee are $30. Tickets may be ordered online at englewoodpas.org or by calling 473•2787. To be added to the 2019-2020 season mailing list, either email Englewood Performing Arts Series at englewoodpas.org or call 473•2787 and provide your name and address.